The Kitchen Garden is a 50-acre, Certified Organic vegetable farm owned and operated by Tim Wilcox and Caroline Pam. We bring a love of good food to our passion for growing it! Tim and Caroline spent considerable time in their formative years living in Europe and their culinary experiences in France and Italy inform and inspire their products and philosophy. 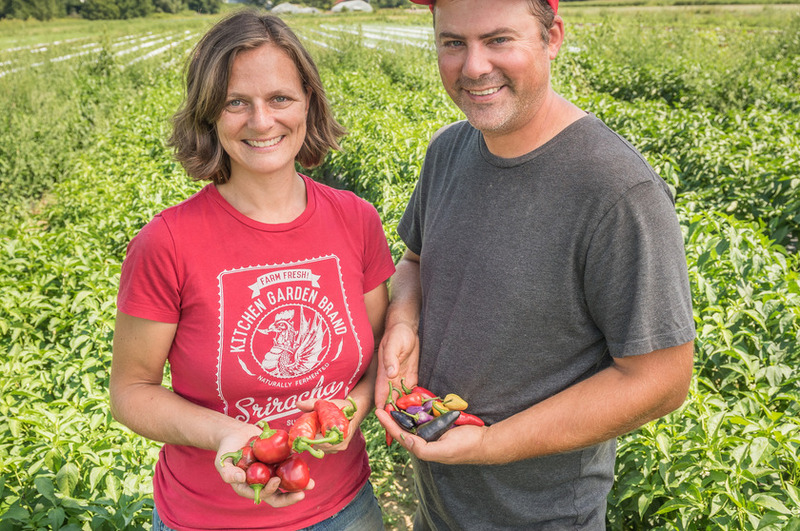 They met at the Union Square Greenmarket in New York City but settled in the Valley because of its great community of young farmers and the local enthusiasm for local food. They started the farm in 2006 on an acre of rented land in Hadley. Products Overview: Wide variety of certified organic produce.